2. The Promoter is Overhex Wines International (Pty) Ltd, herein after referred to as “the Promoter”. 4. 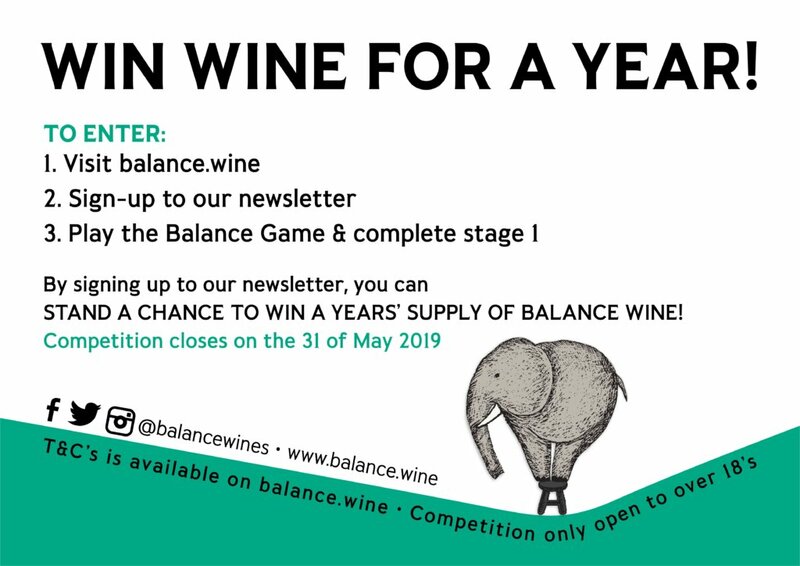 There is one grand prize that can be won: this comprises of 104 bottles of the Balance Classic range wines (30 bottles of Balance Semi-sweet Rose, Balance 34 bottles of Sauvignon blanc and 40 bottles of Balance Cabernet/ Merlot). 5. The competition runs from 9am on Wednesday, 10 April 2019 to 5pm on Friday, 31 May 2019. 7.Users may enter the competition as many times as they like. 9. One Grand Prize Winner will be randomly selected, using an automated system, and telephonically notified on or before Wednesday, the 5th of June 2019. 10. The Winner will need to provide proof of identity in order to redeem the prize. 11. The Winner needs to supply their day time delivery address. 12. The Winner will be announced on the Balance Wines social media platforms. 13. The Promoter will make every reasonable attempt to contact the Winner. Should we be unable to contact the Winner we reserve the right to draw a new Winner. 14. 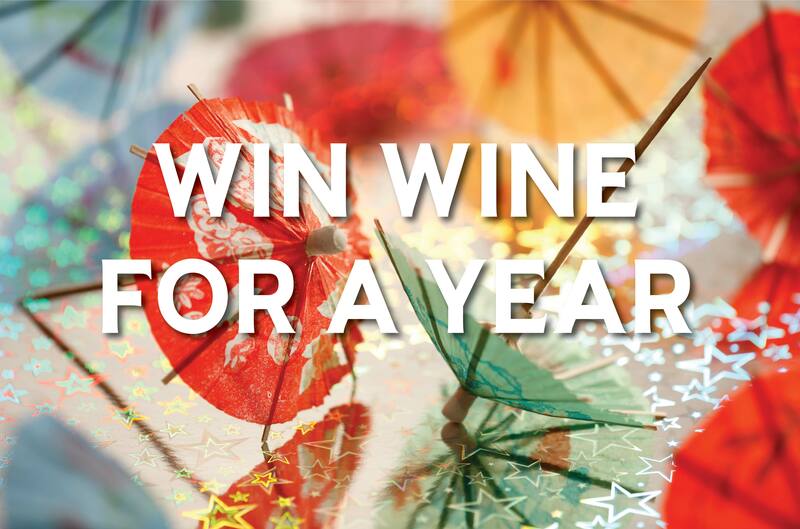 By entering the competition and/or accepting the prize, the Winner hereby indemnifies, releases and holds harmless Balance wines and the Promoter and other, from and against any actions, claims, liability for injury, loss, damage of any kind resulting from the competition and/or prize. 15. The Promoter’s decision is final, and no correspondence will be entered into. 16. The Promoter reserves the right to change or cancel the promotion and/or prize for whatever reason they see fit. 18. The Promoter will use the names, photographs, and entries submitted by the relevant competition Winner, for the purposes of unpaid publicity relating to the promotion, by the Promoter. 20. Delivery costs will be for the Promoter’s account to main centres only. Outlying areas may incur a surcharge.